The EHR-M is the flagship condenser microphone from Swedish designer Göran Ehrlund. It is a fixed Cardioid microphone with a reputation for capturing a detailed, neutral/uncolored sound. The exploded view of the capsule shows the aluminum membrane (15), the active area of which is indicated by a dashed triangular line (20). 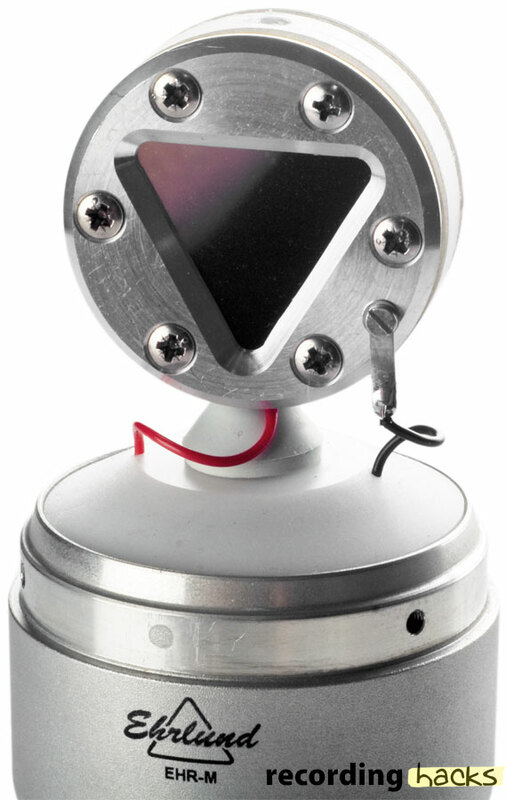 The exterior clamping ring (50) holds the diaphragm under tension to the backplate assembly, such that the membrane is suspended just above the electrode surface (30). 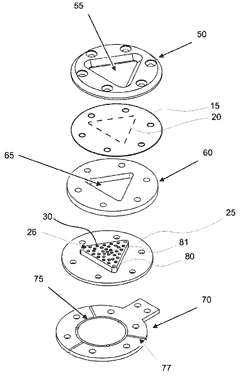 The pattern of damping holes drilled in the backplate electrode is described in some detail in the patent. 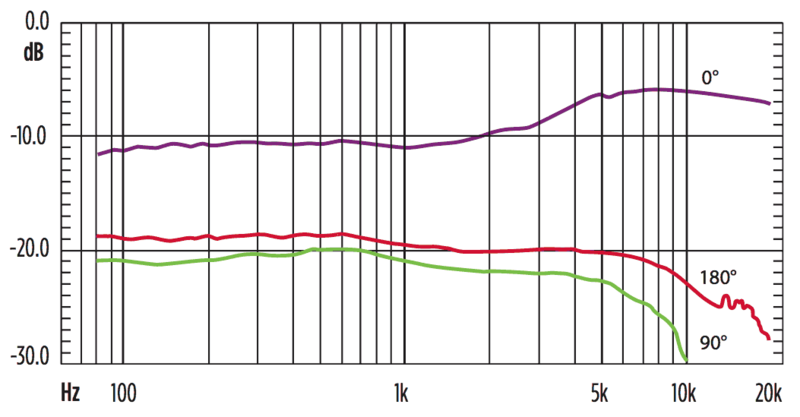 The amplifier circuitry was designed to run at high sensitivity (23 mV/Pa) with very low self-noise (just 7dBA), at a surprisingly low power level (1.6mA). According to Ehrlund, it was designed to have very high phase coherency. 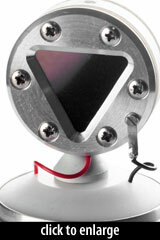 The microphone’s grille is constructed of a single layer of nickel-plated, hardened steel mesh. This material reduces or even eliminates sound reflections within the headbasket area. When using the microphone for vocals, the use of an external pop shield is likely required. It didn’t take long to establish that this is a real hi-fi microphone, more hi-fi than any other we have tested. It is superb with good instruments and fantastic for field recordings. It reproduces everything, apparently transparently, even with our Apogee Duet sound card… The bass is deep and accurate and the treble is extended but relaxed. We suspect a certain treble boost in frequency but it all sounds very natural. Transients are captured without disturbing harshness.